HomeNewsModern Day Concentration Camps at the US, Mexico Border. If you take a look at America’s southern border, you’ll see women and children sitting in cages, desperation on their faces in anticipation of the summer’s deadly heat and border patrol officers treating refugees like prisoners. A “gut-wrenching” sight as described by Montana Sen. John Tester. This severe influx of migrants was more than expected and rather than prepare for it, the president implemented new measures to discourage asylum seekers. The president’s measures included making some asylum applicants wait in Mexico for their decision, further restricting entry. The president did this rather than plan for the influx by developing more facilities causing citizens to seek asylum in America. 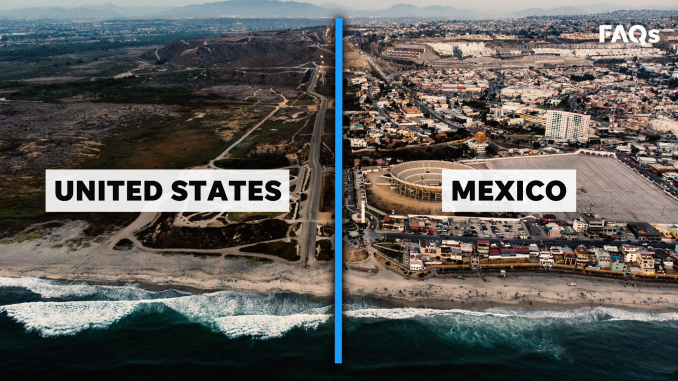 With capacities reaching nearly 13,500 people the southern border is in a full-on crisis. Kevin McAleenan, the commissioner of Customs and Border Protection, said, “A high number for us is 4,000. A crisis level is 6,000. Thirteen thousand is unprecedented.” Border patrol recently reported they apprehended 400 people in five minutes in the El Paso area of the border, a current hot spot for asylum seekers. Border Patrol is bringing in more officers every day and even asking the Pentagon for more assistance. The president has also recruited active-duty troops to patrol the southern border. It is becoming painfully obvious that a wall along the US border will not deter migration from the south. People continue to make their way north on treacherous and deadly journeys only to turn themselves in to Border Patrol officers. The Trump administration shows signs of deterring from their stance on a full border wall, no matter how ineffective it sees.